Thread: Nightmare on Elm St. I've been to this headache before and always cringe when they call. Luckily it was just an old screw fuse toggle switch not making! Also lucky they sprang for one shut off valve to isolate the ruptured Extrol. A couple weeks later he wanted me to reroute a supply and return for a second floor loop that was in the way of the larger electric panel he was having installed all due to one thing leads to another when a kitchen cabinet fell down. Second floor loop NO WAY to get air from it. Radiant loop also no way to bleed air. I guess as long as it eventually moved into the old standing radiation they finally eliminated it. Oh and when the FB8 naturally did not work I was able to pick up a 5/16 refrigeration to 1/2 MPT adapter that sat in the supply house for a century. 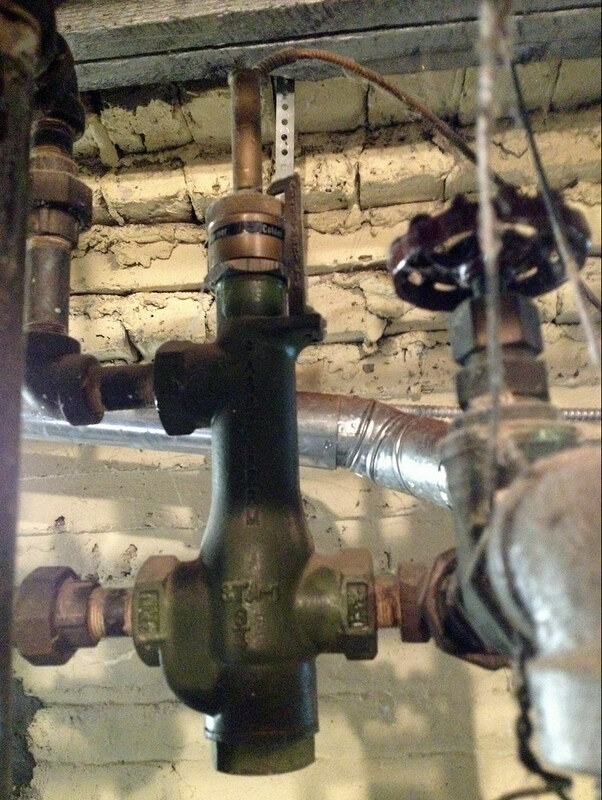 Yes 5/16 hard copper from feed valve to boiler. Thank god the second floor loop had supply and return shutoffs so I could install what I needed to blow it down. And the radiant mixing valve with the outdoor portion nowhere to be found. 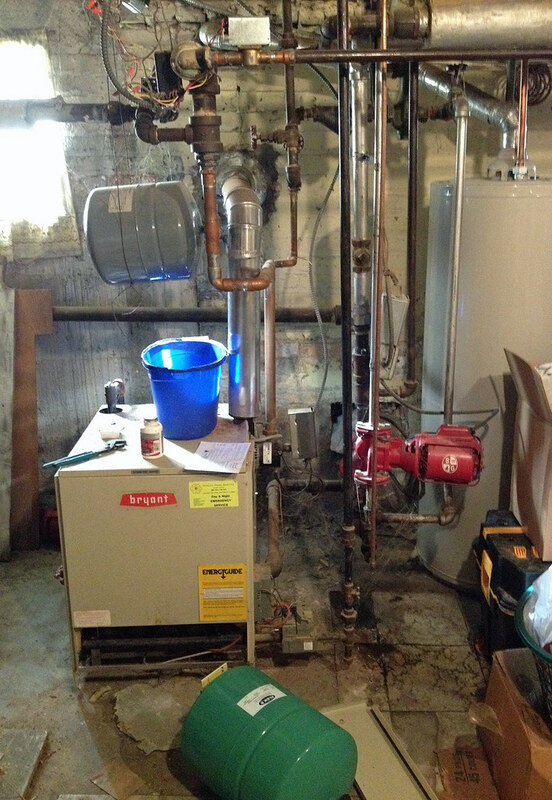 Is that Induced draft/ flue set up "Kosher"? I'd tighten the coat hanger on that x-trol tank. I have told them that for about six years. It all has to go and be redone the right way. I have also told them don't start waiting till the thing cracks on Friday night in December. Probably a three day job ideally in warm weather. Glenn, hopefully you have made up your Invoices in such a manner, that it relieves you of any responsibility, if a situation arises that causes Harm to Body &/or Property. That's where I left my Channel Locks! I thought somebody stoled them!!! is that your extra xtrol tank on the floor to ?